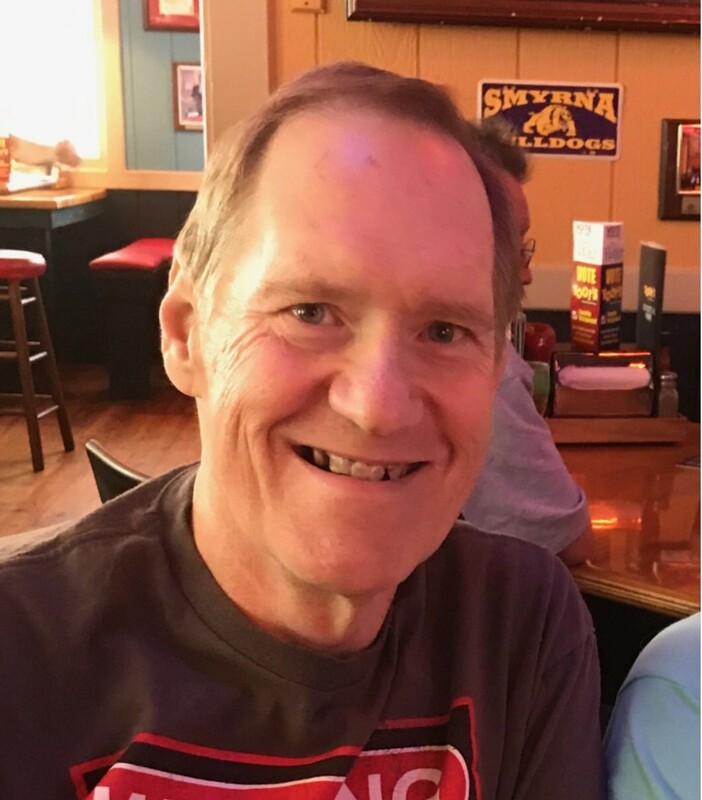 On Monday, November 26, 2018, Michael Mitchell, loving husband, father of two, and grandfather of two, passed away at the age of 63. Michael was born on January 19, 1955 in Maryville, TN to Pauline and James Cooper. He received his Bachelor's Degree in Business Management from East Tennessee State University in Johnson City, TN. On January 13, 1979, he married his best friend, Martha Hunt Mitchell and they raised two daughters, Elizabeth and Rebecca. On September 15, 2007, Rebecca married Jacob Spray whom Michael loved as a son. Rebecca and Jacob blessed him with two grandchildren, Christopher, 13, and Mary, 10. Michael had a passion for music and used it to guide him through the highs and lows life dealt him. His favorite past-time was watching football and basketball with his family and friends. He loved time with his family most, putting every member above even his own needs and desires. His friends became his family, and even friends of his children became his sons and daughters, calling him Dad in lieu of his name. He was known for his stunning smile, infectious laughter, and endless compassion for all those around him. No one felt alone or upset when in his presence; He wouldn’t allow it. Michael was preceded in death by his mother, Pauline Cooper, and his father James Cooper. He is survived by his wife, Martha, two children, Rebecca and Elizabeth, son-in-law, Jacob, and two grandchildren, Christopher and Mary. A memorial service will be held on November 30, 2018 at Sunset Hills Baptist Church on Sunset Road at seven o’clock pm. Visitation will be held before the service from five o’clock pm to seven o’clock pm. In lieu of flowers, the family asks that donations be made to The American Heart Association, National Kidney Foundation, or the American Diabetes Association. Our thoughts are with you and your family. We love you. Truly amazing man that raised a truly wonderful, beautiful soul. Beautifully written! I never got the pleasure of meeting an amazing man, but always heard wonderful stories from his daughter Beth, my awesome friend! Sending my thoughts to all his family and friends! I had the pleasure of working with Mike for several years. Such a lovely man! Such a joy to know! He loved his family and friends. He was always such an inspiration. Heaven truly has a new angel today. Praying for all his family and friends at this time. Mike will live in our memories. I feel blessed that my life crossed paths with Mike Mitchell. Very beautiful and honorable. My thoughts,prayers, and condolences to the whole mitchell -hunt- Cooper family. I love you Beth always thinking of you!! God has your loving father in his arms now. A true tribute to a fine man! A friend since elementary school. Always supportive, understanding, a voice of reason and willingness to help. A believer in our Lord and loved reading his word. God is welcoming home a true and faithful servant! Love and prayers to his loving family! Martha so sorry for your loss. Mike was a sweetheart. I tried to keep up with you all on Facebook. Prayers for all of you. Mike was a good, kind man, always more concerned about others than himself. He made my life brighter, and I’m a better person for having known him. I hope the warm memories give your family some peace, and over time, lessen the grief over losing Mike. Mike was such a great man. I had the pleasure of working with him for several years. My husband and I used to run into him and Martha at many yard sales and we always talked and caught up on our lives. He is now going to yard sales in Heaven with my Bob. Rest In Peace my friend, till we meet again. What a beautiful tribute to one of the best men I have ever known! Deepest sympathy for the family of Michael. I have many great memories during our years at ETSU. He was a good man and will be missed. I am so sorry for your loss. I worked with Mike for many years. He was a joy to be around.